In preparing for my experiment on prolonging the shelf life of my fresh produce purchases, I found that, with some veggies, there is zero waste because you can regrow some of the things you buy. Mama K introduced me to this. She regrows a lot of her veggies! How cool (and sensible) is that? Amongst my produce purchases were celery and green onions. For the onions, I cut them up into a pint sized jar, leaving about a quarter inch of the white part to plant. 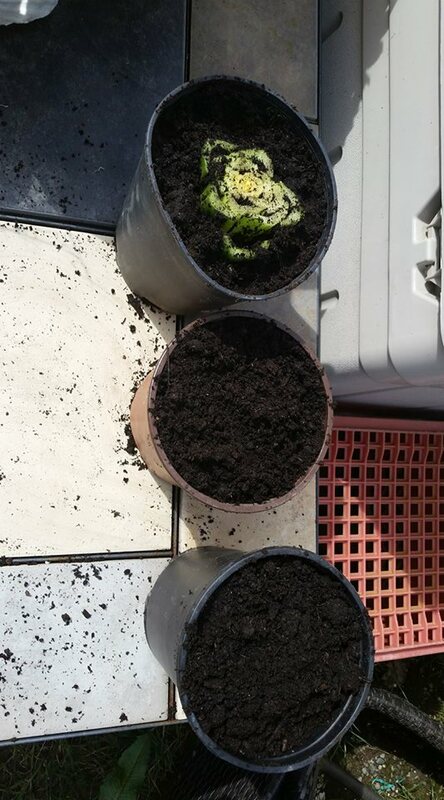 I put soil in a couple of plant pots with good drainage holes and planted five onions in each pot. Mama K says it doesn't take long for them to start regrowing!! 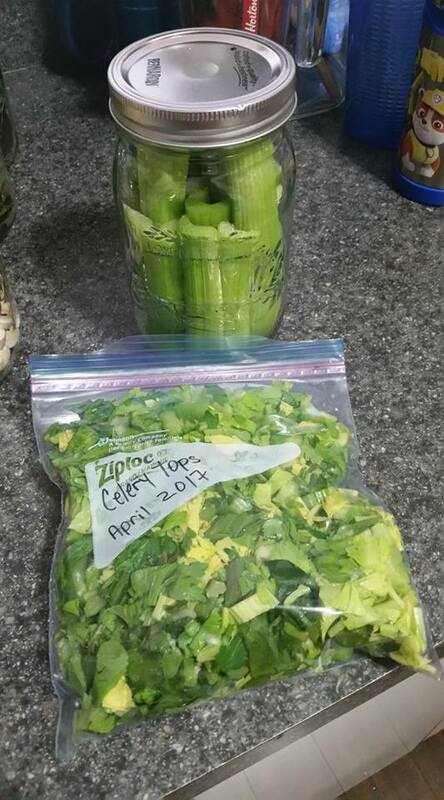 As for the celery, I cut the stalks off and cut them to fit in a mason jar with lid, to add to my experiment. Then I chopped up the leafy parts, put them into a freezer bag to keep in the freezer for using in soups, casseroles, etc. I took the root end of the celery and planted it in a plant pot. I may never have to buy celery again!! My sister, Janet, has started avocado seeds so each of us can grow our own avocado tree. She used the seeds from avocados she bought at the grocery store. It will be interesting to see how well they do!! Some patience is required! !